Happy Birthday to my dear, sweet Madelyn Ansley Jeffords! This is her first birthday and we are so, so happy she is in our family! Such a sweet, happy baby. We love watching you learn and grow and you bring us endless hours of happiness and smiles. We love you, little miss Madelyn! 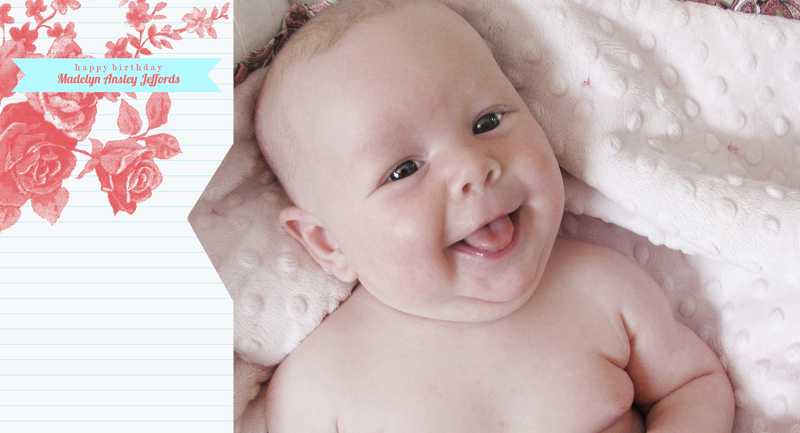 This photo was taken when Madelyn was 2 months old and she has been smiling ever since!